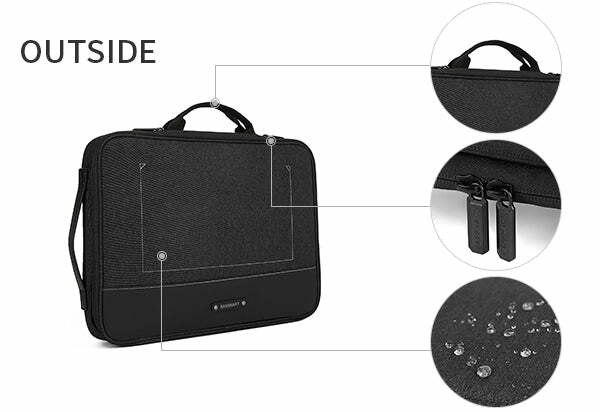 360° protection-this laptop case has foam padding around the each interior compartments. High-grade durable exterior water-resistant material for easy cleaning. Best organization-12 elastic loops/ 6 mesh pouches with elastic loops/ 2 large open pockets/1 large zip pocket/ 1 mesh pocket/ 3 SD card pouches. Keep everything you need in one place. 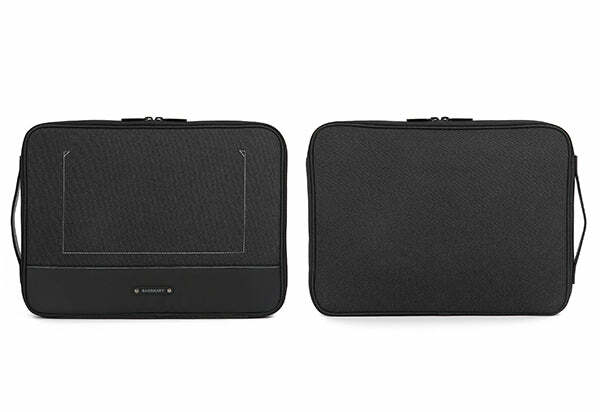 The case will not stick out even if you put the mouse, adapter, charger and power bank together. It is ensured that the devices you want to use are always at hand. Easy Carrying-can easily slide into your briefcase, backpack or other bag with organising all your accessories together. 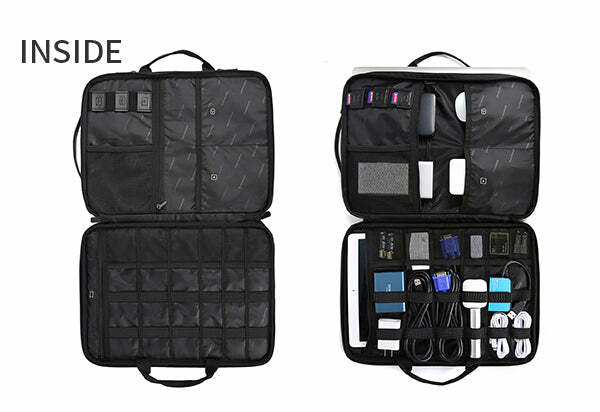 Great Organizer for office uses, business trip, school or traveling. BAGSMART carries out organization into a new case. Normally your accessories are chucked in a side pocket or wouldn't be able to fit in with the standard sleeves at all. This case add a compartment organizing your bits and bobs like mouse, charger, cables, hard drive - whilst still keeping a slim profile. External Dimension (L x H x W): (13.8 x 10.2 x 1)"
This notebook case using high quality outer material, durable, water and dust proof, easy cleaning. Inner soft foam padding to resist shock. PU leather handle on the size of bag and another 2 handles can be folded into compartments. Two-way zipper closure for quick access. Keep everything you need organized, prevent losing or damage your memory cards and adapters. It is ensured that the devices you want to use are always at hand.